Clamp it, strap it, hang it, suspend it, hook it, bracket it, or restrain it. Do what you need to do to support those pipes. A pipe hanger is a device used to support a pipe or group of pipes from a slab, beam, ceiling, or other structural element. 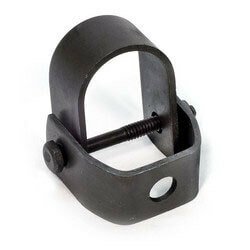 C Clamps are used to attach I beams, channels, and wide flange beams. 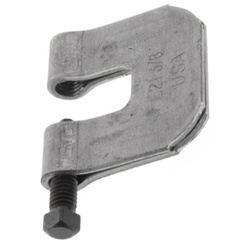 These clamps are called "C" clamps because of their C shaped design. 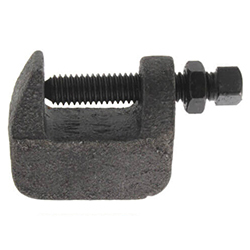 C-clamps are also available in models that include a locking nut to prevent loosening due to vibration. 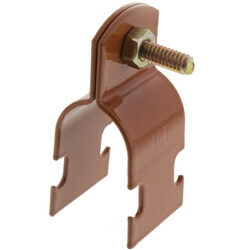 Beam Clamps are designed for roof installations with bar joist type construction. 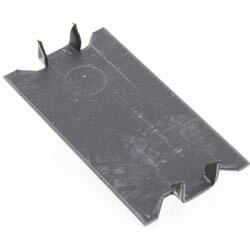 They can also be attached mechanically to the top or bottom flange of steel beams. 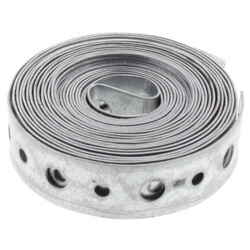 Straps are used to clamp tubing flush to the surface in both vertical and horizontal applications. 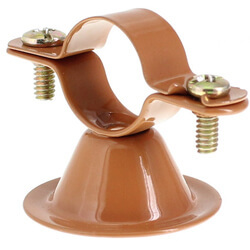 Riser clamps are used for supporting piping through floors where extreme load conditions exist. Multi Strut Clamps are designed to support stationary pipe and tubing lines from strut channels or on rooftop pipe and equipment supports. 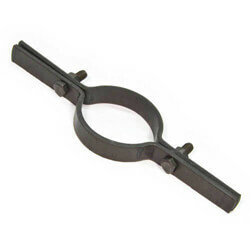 Clevis Hangers are used to suspend non-insulated or insulated stationary pipe. 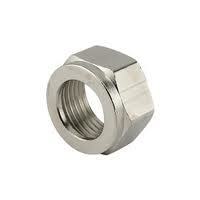 They are available in copper, carbon steel, and electro-galvanized finishes for non-insulated pipe applications. 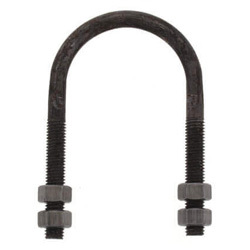 Insulated-pipe applications require a unique insulated coupling clevis hanger. 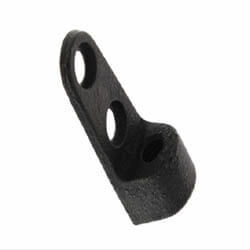 These hangers mount directly to strut or suspended hanger rods. A band iron is a thin metal strap commonly used when a pipe must be hung lower than a J-Hook can reach. 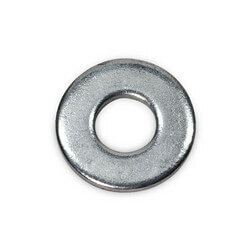 These are similar to stud brackets but come coiled and are bendable. Band irons are available in copper or iron. 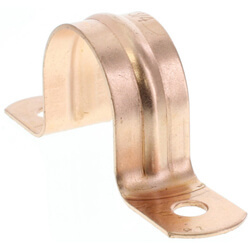 Stub brackets are used for supporting 1/2" to 2" piping and are ideally used in toilets, sinks, lavatories and other residential and commercial applications. 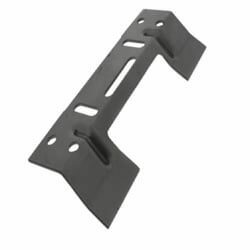 DWV hangers are designed to provide an economical and simple way to support non insulated PVC drain, waste, and vent pipe lines. Flush valve brackets are generally used in water closet applications. 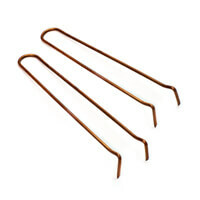 Milford hangers are used to suspend copper tubing from floor joists in horizontal applications. 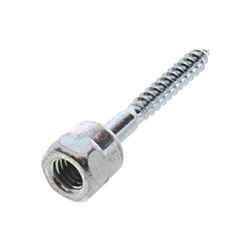 Overhead pipe brackets are utilized when piping must be suspended from the ceiling. Pipe on pipe brackets are particularly useful in pre-fab applications when horizontal or vertical pipe support is required. 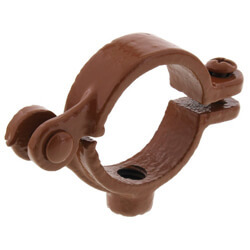 Swivel Rings are used to suspend pipe from joists, steel beams, wooden rafters or walls. They can be used in horizontal or vertical applications. 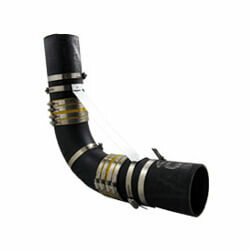 Split Rings are designed to support non-insulated stationary pipe lines. They can suspend pipe from joists, steel beams, wooden rafters, or walls. They can be used in both horizontal and vertical applications. 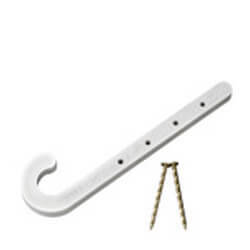 Pipe Hooks are used to hang pipes from floor joists. J Hooks are hangers, in the shape of the letter "J". The "J" shape allows the hook to be fastened to other objects in such a way that it can provide good support and be securely attached. 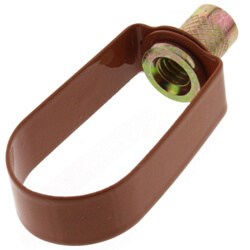 Van Hangers are designed for use as a standoff clamp and can be used to mount copper in both vertical and horizontal applications. 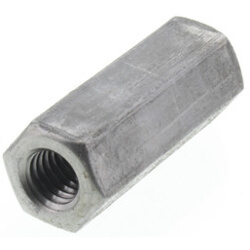 No Hub Fitting Restraint are used for overhead pipe support and for restraining hubless cast iron soil pipe joints against separation during high thrust conditions. 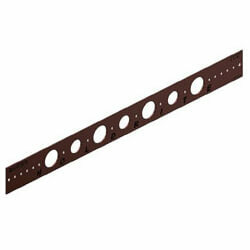 We carry a huge selection of Carpenter & Paterson, and Oatey pipe hangers and supports.